My favorite herb/spice is a tie between basil and rosemary. Love both flavors on pretty much most dishes. I already like the blog on facebook. I would love the Cajun Spice!!! Grilling herbs would be my fav because I love garlic!!! My favorite is Herbs de province! And I would LOVE the pepper blend! And…I follow you by email! i love herb de provence! it's a must for salads and really anything! plus great memories trying it for the first time in Paris! i love herb de provence! I love herbs de provence. Lately, I love curry and put it on everything and I just recently discovered herbs de provence. My all time favorites are basil and curry, but herbs du Provence is right up there as well. I am Pinterested in you as well, lol. My favorite herb is Herbs de Provence, I love the subtle mix and the sweetness given by the lavender. I am one of your likers on Facebook. I am one of your followers on Pinterest. I "like" your facebook blog post. We love the herb de provence. I signed up to follow you on email. Would love to try the grilling blend. I like the Grilling Herbs since my husband and I grill a lot and that spice blend looks great. I my favorite spice is Grilling Spice. Is great on any cut of meat. 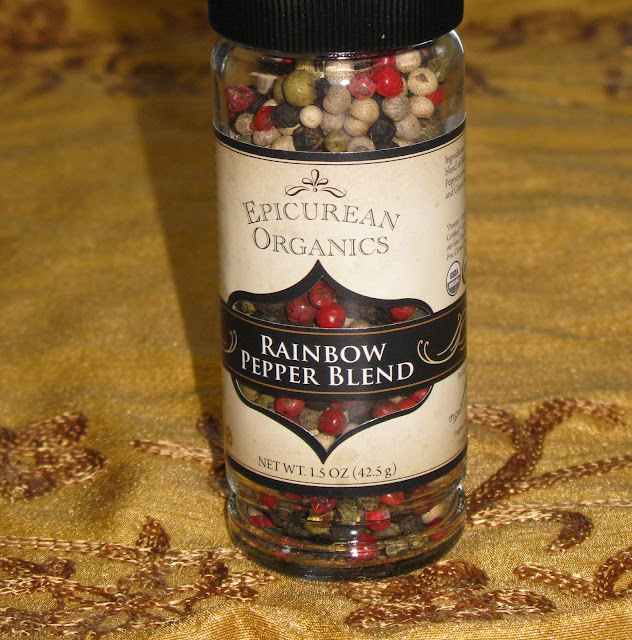 Rainbow Peppercorns are always an essential for me, I adore Mountain Rose Herbals but have not been able to afford to order from them in about 2 years now 🙁 Gosh I miss their quality and selection!! My favorite is garlic, on everything. I'm on a rosemary kick right now. The rainbow pepper blend is fun to use! I would love to try the herbs de province. My favorite is Herbs de Provence – I’ve used some before in almond flour crackers, and they were delicious! Ooh I love pepper – put it on everything where most people use salt. I haven’t tried it, but I’m sure I would adore that pepper blend!